It is hard not to view this frozen waterfall as an artwork, but it only functions as art inadvertently. Its effect is quietly visceral, though, a response I don’t have to art often enough. The last resident in this building in China, holding out against expropriation by developers, makes a DIY drip system for preventing his pipes from freezing after owners shut off the heating system. 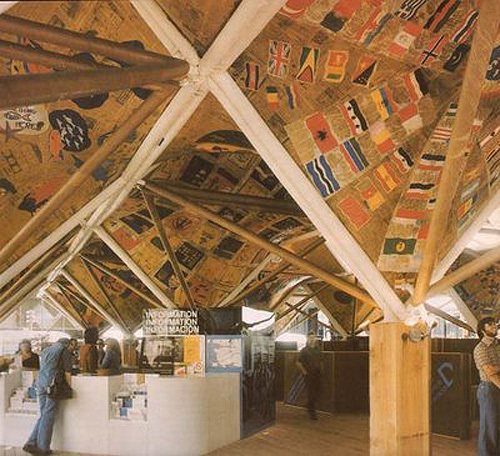 This is the paper-based pavilion designed by Arthur Erickson for the UN Habitat Conference on Human Settlements that took place in Vancouver in June of 1976. The pavilion, part of Habitat’s exhibit, was erected in front of the old courthouse (now the Vancouver Art Gallery). 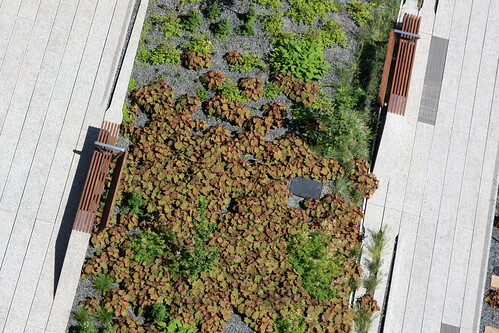 Photo is courtesy the Vancouver blog Architecture Wanted.